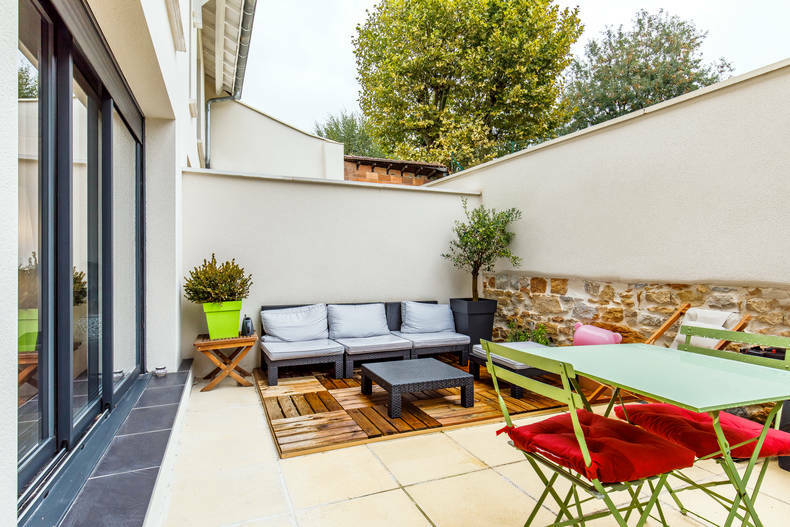 Because they have a history to tell and that they are true masterpieces, BARNES Lyon proposes to you to discover 5 lofts for sale in Lyon and its surroundings. 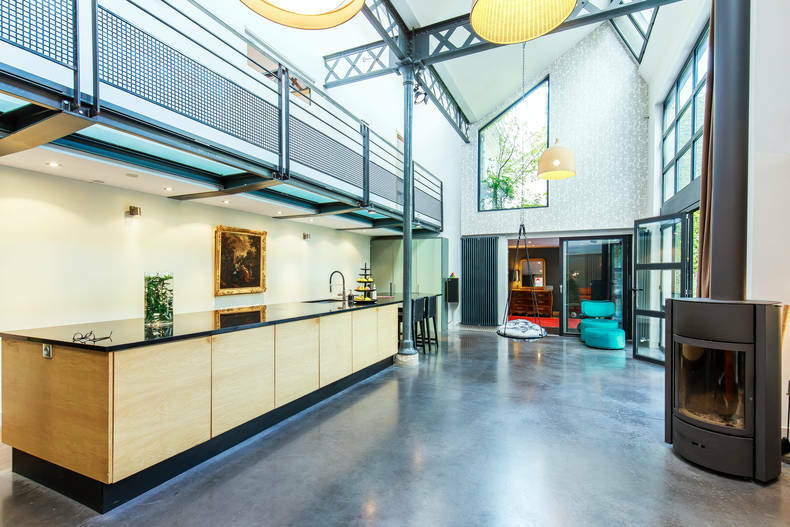 Located in "La Croix-Rousse", this former factory for sale in Lyon 4 has been totally redesigned on an area of 330 sqm. In a loft spirit, the living space is entirely open on 200 sqm and gives direct access to a large patio of 70 sqm. The floor is dedicated to the 6 rooms of which a parental suite as well as bathroom and room of water. Amenities include a heated indoor heated swimming pool with a counter current system! For lovers of great wines, a wine cellar is air-conditioned. This town house for sale in Lyon 4 has a double garage. And the small plus, a room of 18 sqm is at disposal, ideal for a workshop or a studio. 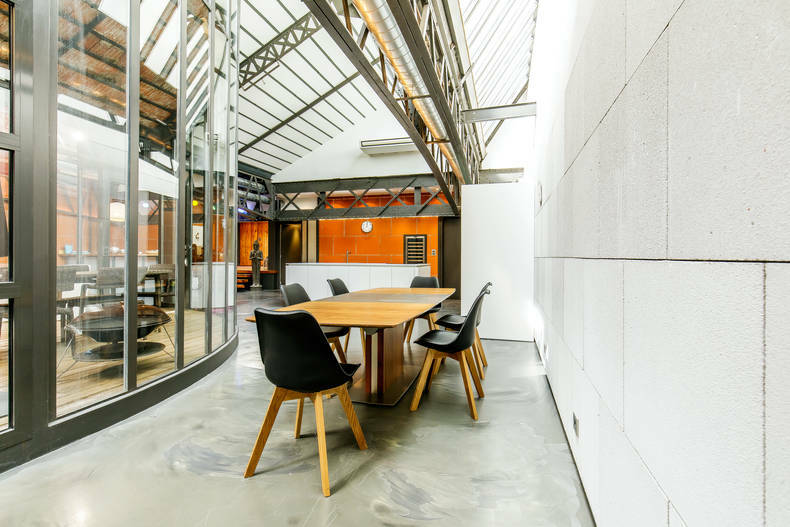 This contemporary apartment / house for sale in Caluire-et-Cuire is ideal for creating a co-working space. Totaling an area of 360 sqm, this triplex currently occupied as a residence only needs to be redesigned in a relaxation work area. On the ground floor, imagine a large reception area, the first floor serves three closed offices modulated around a central space, the second floor has all the qualities for creating an open-space. A 4th office is available on the second floor and a kitchen. In addition to relaxation zones where conviviality will be required: roof terrace of more than 100 sqm, swimming pool and green area. A double garage is also available. Ideally located not far from public transport, this property has a nice potential. 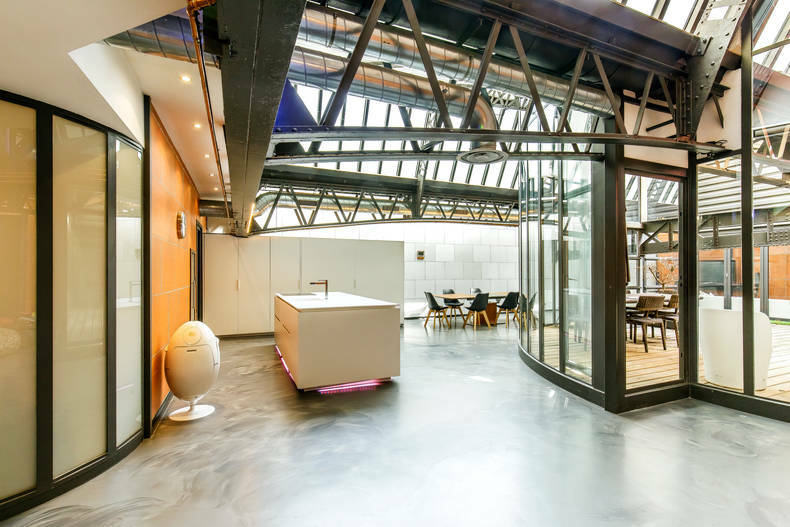 Loft of stories, this loft to sell in Val de Saône in France of 154 sqm stemmed of an original rehabilitation since it served as hangar to sailboats. It thus offers part of its original function of very beautiful volumes. The entrance sets the tone with a cathedral ceiling leading to a large living area of 59 sqm. The room is bright thanks to the large openings giving access to a patio dedicated to the well-being: summer lounge and spa. Two staircases are necessary in the stay for the night part: one serving the master suite and a second bedroom, the other a third bedroom or an office. 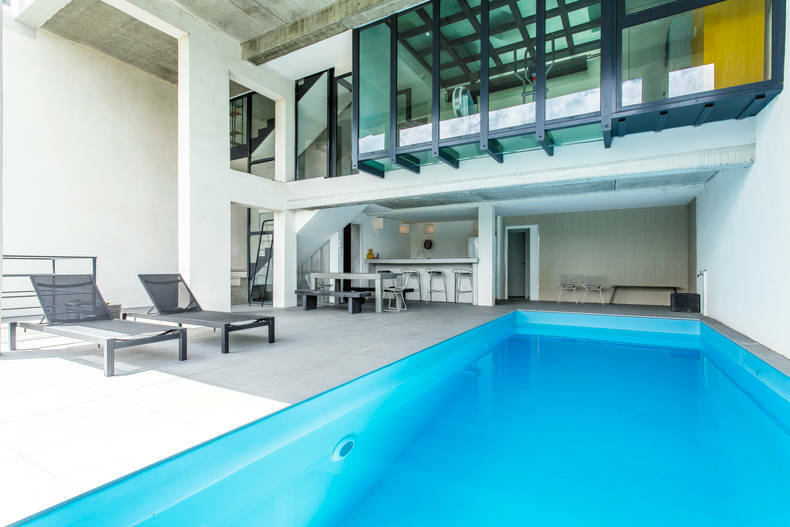 This exceptional property in the vicinity of Lyon is offered exclusively by BARNES Lyon. 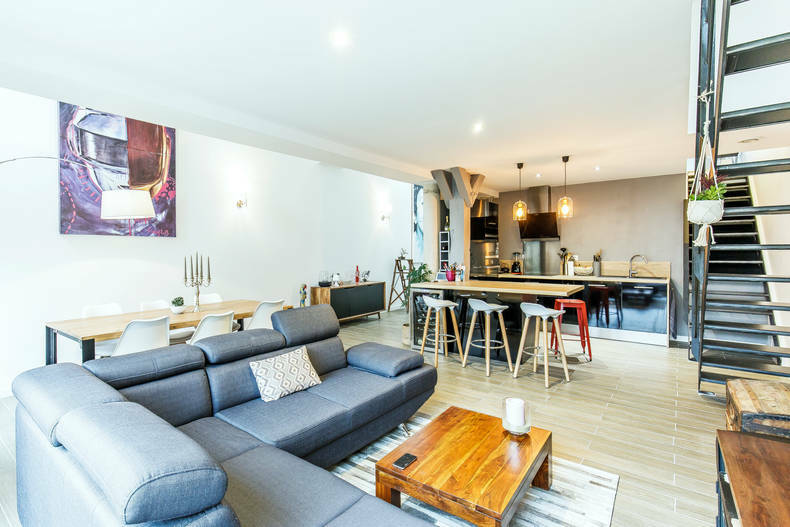 Located in the Foch district, this loft for sale in Lyon 6 of 157 sqm has been completely renovated and offers several large spaces on 3 levels. 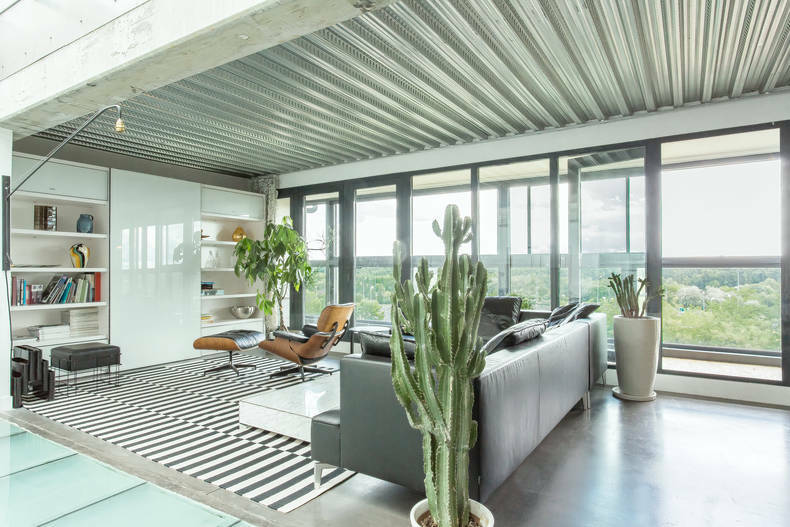 Mixing authentic and industrial materials, this loft of exception offers very nice benefits. The living space constitutes the main level with also a corner night: a large parental suite and another bright room. The upper floor accommodates a third bedroom and its private shower room. As for the souplex, it opens the field of possibilities: 50 sqm can leave your imagination short: home theater layout or even a desk, a library, a relaxation area, everything is allowed! 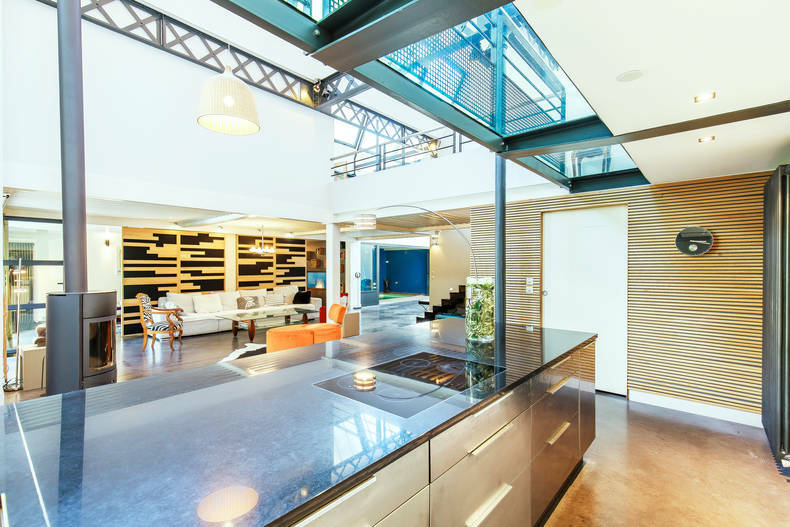 And for the comfort of its guests, this loft for sale in Lyon 6 is fully air conditioned and equipped for home automation. 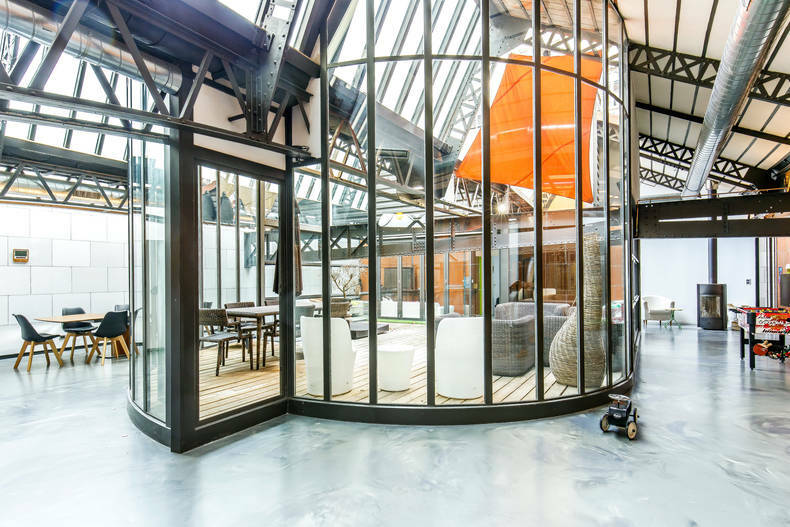 Located on the banks of the Rhone, this loft for sale in Lyon 7 is a former industrial workshop. Entirely renovated preserving the soul of the places, it offers in addition to its 373 sqm of very beautiful heights. The spaces follow one another, linked by large windows and modulated around a large central patio. It thus has a big surface welcoming living room, kitchen in islet and dining room. On the night side, 4 bedrooms have been fitted out with several bathrooms, including a master suite. 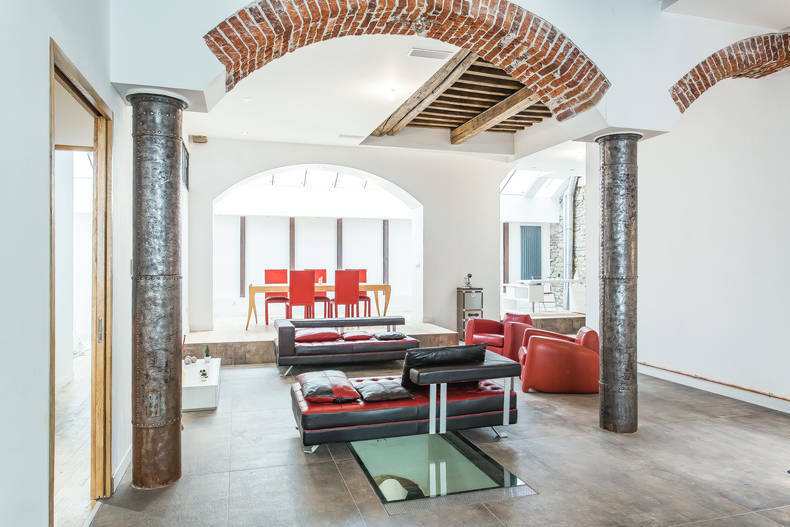 A nice additional asset to this charming loft in Lyon: two stone vaulted cellars with a height under ceiling disproportionate, enough to bring forth an idea of indoor pool. A private access leads to the garage with also the opportunity to acquire an additional parking space. 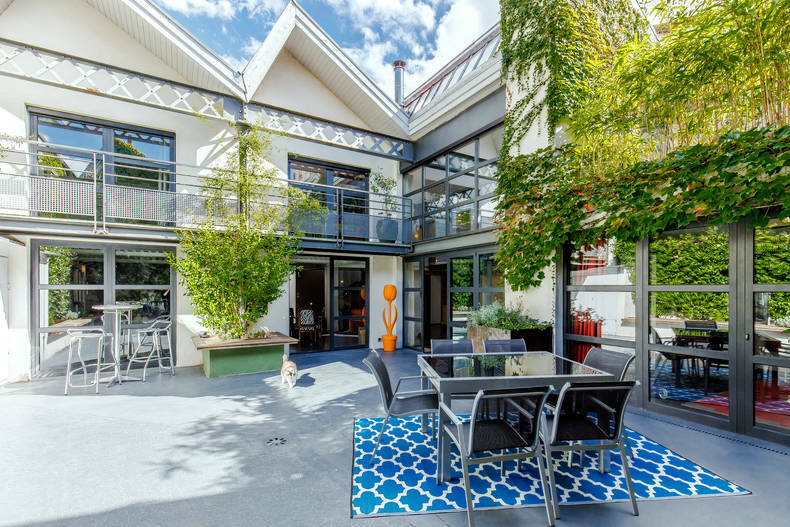 BARNES Lyon, a prestigious real estate agency in Lyon, specializes in the sale of exceptional properties. 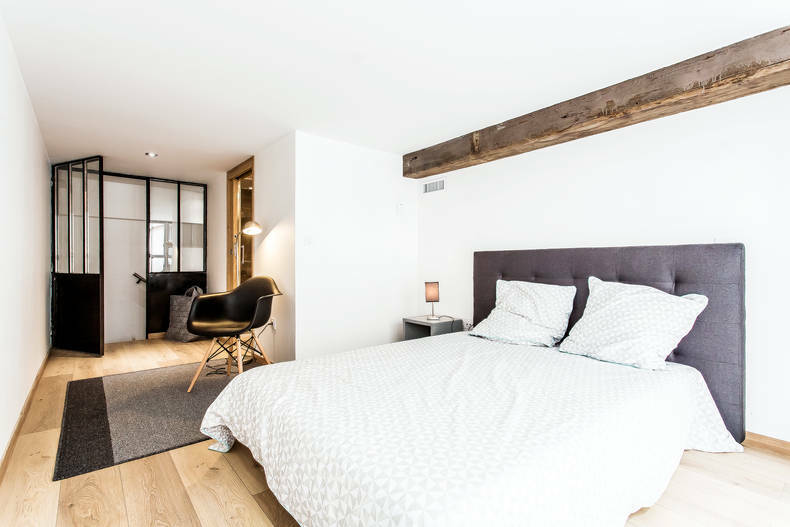 Contemporary houses, atypical apartments, bourgeois, lofts for sale on Lyon and around Lyon are not all accessible on our site. Do not hesitate to contact us and entrust us your research criteria in order to accompany you in the acquisition of the property of your dreams.